Derby University have a 58 acre outward bound centre in Buxton at the centre of the famous peak district. The manor which was previously a hotel is the hub of centre and caters for numerous outdoor pursuits including climbing, underground caving and canoeing; as you can imagine the floors in manor house get a fair amount of wear as students come and go in their boots and rucksacks. All this takes its toll and I was asked to restore a marvellous old Victorian tiled floor at the manor house. The Victorian tiled floor was looking tired; any sealer that may have been applied previously had long since worn off. There were a few cracked and broken tiles which needed replacing and fortunately you can still source these tiles and so once this was done I set about cleaning the floor. To clean I used Tile Doctor Pro-Clean which is an alkaline product in conjunction with a buffing machine fitted with a black scrubbing pad; once the floor was clean I washed it down with clean water to remove any remaining chemical before sealing. I can recommend the use of a wet vacuum at this point as it makes the job of removing liquids from floors much faster. One the floor was dry I started the sealing process or applying five coats of Tile Doctor Seal and Go, this can take a while as it’s necessary to allow each coat to dry before applying the next. The sealer added a nice sheen to the floor and will provide protection to the Victorian tiles going forward; you can see the difference in the photographs. Polished Porcelain is very hard wearing and looks great in the retail environment; it does however get very slippery when wet and given the increase in accident claims in the UK and companies happy to pursue them it can be a real problem. Prevention with an Anti-Slip solution is definitely cheaper than a court case and this is the very problem we were asked to address at a shop in Leeds recently. This floor in a retail outlet in Leeds was laid with white Polished Porcelain tiles and the retailer was keen to prevent accidents happening to their customers. 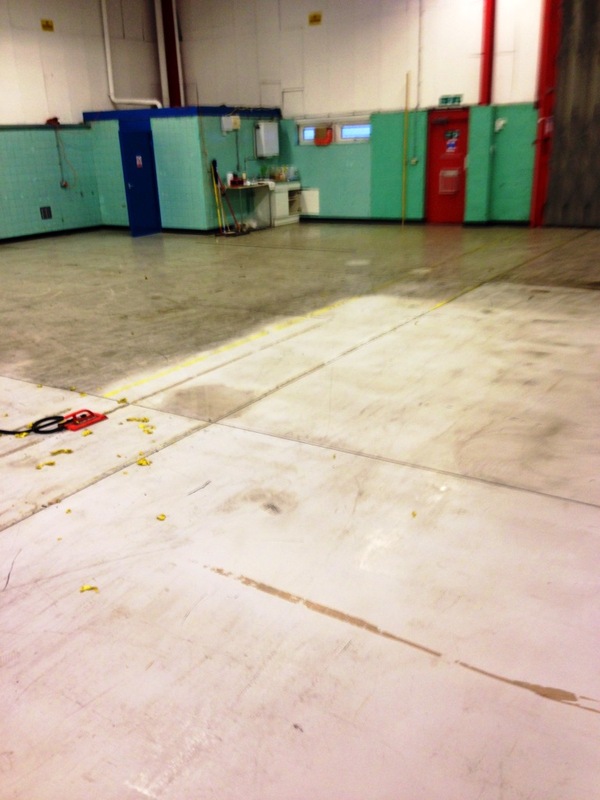 First we treated the area with Anti-slip cleaner to make sure the floor was free from dust and dirt contaminants before the Anti-slip solution was applied. We then applied Tile Doctor Anti-Slip with a spray pump bottle and lightly scrubbed this in, left it on the floor area for the correct time duration and then applied the bonding agent on top of this. The last step was to buff the floor with a black buffing pad attached to our Victor floor buffer; afterwards we rinsed the floor with water and removed the water using a wet and dry Vax machine. The effects of Anti-slip work as soon as the floor has been buffed, rinsed off and left to dry, the customer was very happy with the results and left the following message for us. Just wanted to thank you for sorting an anti-slip treatment for the new porcelain tiles in our Leeds store. The treatment definitely works,(as we found out the first time it rained!! ), and the whole process was dealt with efficiently and promptly. Val Caine (Director).Wish, Bond Street, Leeds.